Manufacturer of a wide range of products which include progressive lubrication system, industrial pneumatic grease pump and manual grease pump. 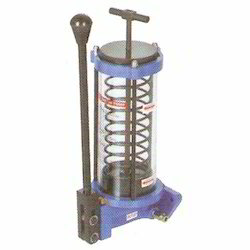 We are offering our clients a commendable range of Progressive Lubrication System. Manufactured using high-quality raw material procured from the reliable vendors of the market, these products are extensively used in various industrial applications. Further, we have a team of quality controllers, who stringently test the products on various parameters to ensure flawless range of products. In addition to this, we deal in providing customized solutions to our customers as per their requirement. We are offering a qualitative range of Industrial Pneumatic Grease Pumps which is manufactured by our professionals using high-quality raw material sourced from the reliable vendor of the market. 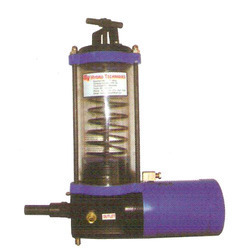 Further, these pumps are operated with the help of pneumatic line that is connected to the port of the cylinder. Owing to their sturdiness, longer shelf life and excellent performance, these pumps are widely demanded by the customers. We are one of the prominent business entity engaged in manufacturing, supplying and exporting an excellent range of Manual Grease Pump. 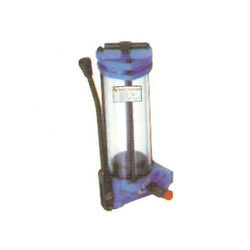 These pumps are capable of ejecting the complete amount of grease on full stroke of handle. Owing to their sturdy construction, longer shelf life and excellent quality, these products are highly encouraged by the customers across the country. Looking for Dual Line Grease Lubrication System ?